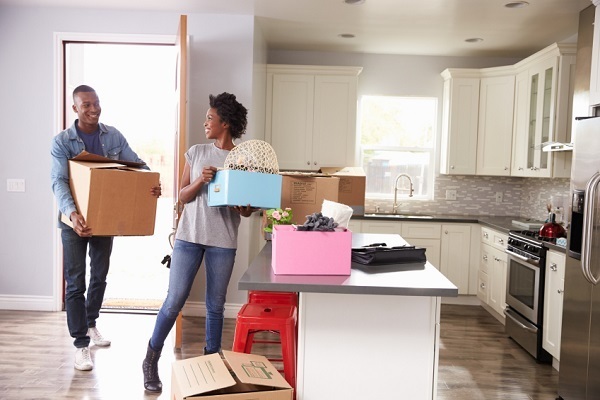 Following our look at some of the tips we’ve picked up over the years for twenty-somethings planning a move in Chicago, it only made sense that this week we look at that decade when you go from a young adult to an adult, no qualifiers needed. For some people, their thirties are marked by a settling down of sorts as you find yourself attending a lot more weddings and baby showers– sometimes they’re even your own! That along with honing in on your professional career while gaining a greater clarity around what you want from life. While many twenty-somethings will spend their apartments moving from cheap living situation to cheap living situation, often sharing a railroad apartment or rented house with two-to-four other individuals in their age group, the thirties tend to be marked by increased stability and greater responsibility. No one expects you to have life all figured out by the time you turn thirty, but chances are, you’ve found yourself taking on more responsibilities both in your professional and personal life, not to mention cutting down on the number of roommates. Thus, you ideally want a home life that is dependable and steady, be it living by yourself or with your partner or one other roommate. When it comes to a move, whatever the reason might be, chances are you have quite a bit more to transport and manage than you did in your twenties. Those drums or other musical instruments that you haven’t picked up in a few years might mean it’s time put them in storage. The key is cutting down on the clutter in your life, both in terms of physical objects and psychic clutter like stress that can come from handling a move all yourself. If you work full-time and can afford it, your thirties is certainly the time to consider hiring the best Chicago professional movers if you never have before to help in moving apartments or homes. Things seem to move faster in your thirties, from moving up the company chain to possibly starting your own family. Chicago apartments and homes are no different. The fact is, you are likely looking to either rent a more competitive apartment that is closer to your work or is the Chicago apartment of your dreams. We’ve heard stories of some of our clients going to look at new apartments or homes with checks in their pocket in case they decide they’ve found the perfect home and don’t want to risk another thirty-something scooping it up as well. And since many thirty-somethings find moves happening much quicker, the need for professional movers becomes all the greater as they can provide the flexibility you need if you find yourself facing a major move in just a week or less. For some people, their thirties are when they start to get a hang of this little thing called life and start wanting more from it, especially if they find themselves living in an apartment that while convenient, they actually never liked (not to mention the landlord wasn’t the nicest person in the world). Others may find themselves making the brave decision to leave a relationship that just isn’t working for them anymore. Simply put, a lot can go down in your thirties and when it comes to moving apartments or buying your first home, your dreams will only come true if you work to make them happen. Approach your move with the same enthusiastic, no-fuss attitude. Buy the right boxes for your wine glasses. Put the stuff you don’t need (but don’t want to sell) in storage. Hire professional movers. Leave that nasty landlord behind. Whatever is prompting you to move, try to look at it as an opportunity and make it as stress-frees as you can by letting the wisdom you’ve begun to accrue guide you. Or to put it more simply, trust your gut and start living the life you want, how you want it.